These lovely flowers among the brown leaves gives a wonderful sense of renewal, the coming of spring. This is beautiful work, Corinne! Kudos!! What wonderful depth and colour. Great! Fav. What a perky purple cluster! Beautiful show of spring. Ours are out too. Beautiful! I love how the light is spilling right on top of them! So pretty and unexpected among the brown leaves. Like how you composed this and made the crocuses the stars! 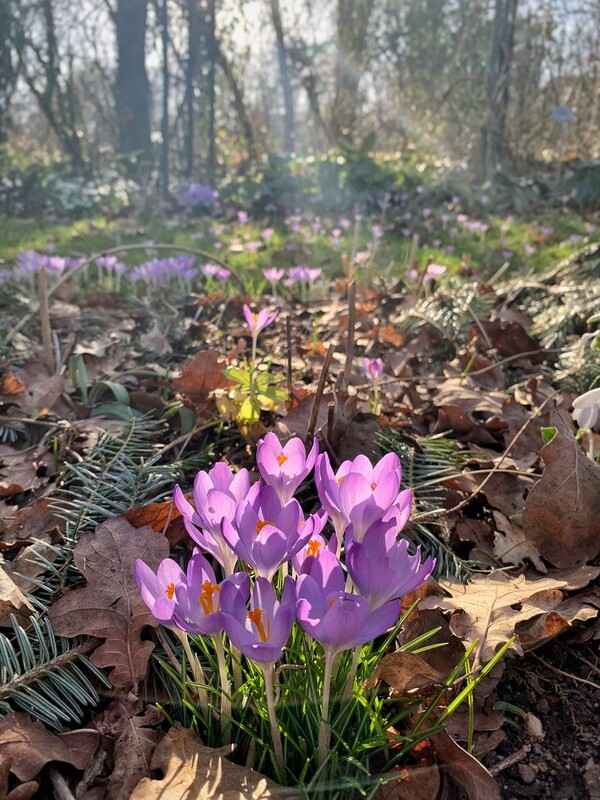 Just love the rays of sun lighting up these crocus flowers. A wonderful POV for this shot, too.